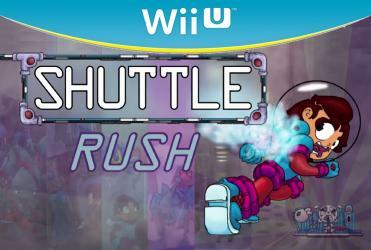 Shuttle Rush is a fast-paced, old-school 2D platformer. The main character, space taxman Bob, is stuck on a hostile alien space station, and is running out of oxygen. The goal is simple: escape with your life. Fortunately, oxygen vending machines are scattered across the whole station. Using those will be mandatory to reach Bob's shuttle in time. Run, gather coins, sneak past aliens, purchase oxygen, and you just might make it. It definitely won't be easy though. Good luck Bob, and do Rush it!